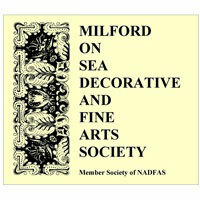 Formerly The Milford on Sea Decorative and Fine Arts Society (MoSDFAS), the original incarnation of The Arts Society, Milford on Sea was founded over forty years ago when it was originally named The West Solent DFAS and was one of the earlier Member Societies of NADFAS (now The Arts Society) and one of very few located on the South Coast of Hampshire. The society’s membership and popularity grew along with the reputation of NADFAS which expanded to become the leading worldwide arts organisation it is today. The Arts Society (Milford on Sea) remains thriving and active. Members enjoy ten lectures each year plus a variety of outings, visits and special interest days. The society is a registered charity and takes great pride in supporting local young arts. The Arts Society (Milford on Sea) meets for lectures on the third Monday of each month* at 10.45 am. Doors open at 10.00am for coffee and a chat. Our lectures are delivered by international experts who are carefully selected and vetted by The Arts Society. The Milord on Sea programme team further select subjects which we believe will appeal to our members and guests. Although art is a common factor, our lecturers always provide a fascinating social and historical background to their subjects. In addition to our interests in the many facets of fine arts our lectures increasingly cover aspects of craftsmanship, music, engineering and design. Following our lectures we feel inspired, a curtain having been lifted on a world of genius and technical brilliance.